Under the overarching title, The Future Is Not What It Used To Be, the Second Istanbul Design Biennial invited designers, architects and others to rethink the manifesto as a catalyst for critical thinking in design. 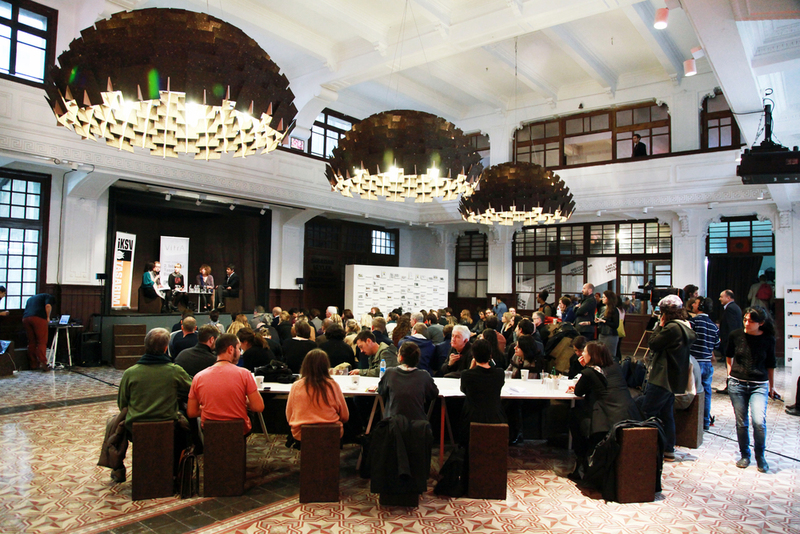 As a platform for inviting inquiry and exchange, the biennial asked: What is the future now? How do we define the future? Who defines it? And perhaps most importantly, whose future are we talking about? In the early years of the twentieth century, a time of rapid transition, artists, architects, and designers responded with manifestos: grand statements of purpose and visionary plans. Today, design has become inextricably linked to every aspect of our lives. From our buildings, streets, education, food, and health care to our communications, political, and economic systems, the types of work that designers are tackling has grown exponentially. The Second Istanbul Design Biennial harnessed the idea of the manifesto but invited people to rethink its role in contemporary life. Could the manifesto be rethought to question the role of design and suggest alternatives from multiple points of view, from different generations and places? In a more multilayered world, it is possible for manifestos to be more collective and accumulative, rather than declarative and univocal? Rather than only written statements, could a manifesto be an object, a building, a way of working, a methodology or approach, a system or network? There were 53 projects in the biennial, conceived of by designers and architects working in more than twenty countries. The projects were presented in “departments” – rather than themes – that borrowed from the language of the grocery or department store, as much as from the academy or the laboratory. The projects by practitioners working in Australia, China, France, Japan, Mexico, the Netherlands, and the United States, among others, constituted alternative manifestos in the form of conversations, household objects, fashion accessories, menus, maps, buildings, food, postcards, magazines, smells and visual languages. They conveyed a multitude of points of view that took into account social, cultural, and economic factors while advocating for design to be a decisive factor in future decision-making processes. Rather than statements of purpose that are closed to interpretation, the works posed questions and proposed alternative directions and outcomes that are open-ended and encourage interaction and debate. The projects encouraged us all to pause look to the future but perhaps most importantly they urge us to look more closely at our present moment, at what’s going on around us, now. Ultimately, the biennial aimed to encourage a rethinking of our designed environment by selecting projects that depart from previously assigned definitions of how things should look and function in order to encourage a more multifaceted and context-driven reexamination of the objects, buildings, and environments we interact with daily. Talk to Us | Organized as part of the biennial planning process, the curators organized a series of salons in Istanbul that engaged almost a hundred architects, designers, curators, and critics in discussions around the theme of the biennial, ensuring the active participation of the local community and generating important ideas for biennial projects and programming. The Moonwalk Machine—Selena’s Step, Sputniko!